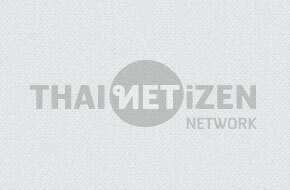 A 7-page report by Sinfah Tunsarawuth encapsulates all important details about the pivotal case of Thai Internet intermediary's liability, in which Chiranuch Premchaiporn, director of Prachatai.com, is the defendant, awaiting verdict on April 30. When Thai government ordered a police raid on independent news portal Prachatai and the arrest of citizen journalist and director Chiranuch (Jiew) Premchaiporn on March 6, 2009, it didn’t just shoot itself in the foot. It planted a landmine and then stepped on it, blowing off one of the Thai elephant’s front legs! Lese majeste prompts police raid on offices Crime Suppression Division (CSD) police yesterday raided the office of Prachatai's political website and took its webmaster into custody accusing her of violating the Computer Act. About 10 CSD officers led by Pol Col Satit Tachayapop, deputy CSD commander, went to the (prachatai.com) office yesterday. Armed with a search warrant dated March 5, 2008, they searched the office and detained Cheeranuch Premchaiphorn, the webmaster.